9to5Mac and Daring Fireball are both connecting the dots in the Apple rumour trail and reporting that the rumoured 7.85-inch iPad Mini would look more like a bigger iPhone than it would a smaller iPad. Which means, instead of having a uniformly thick bezel around the edge of the display, it would have a much thinner bezel on the left and right side. 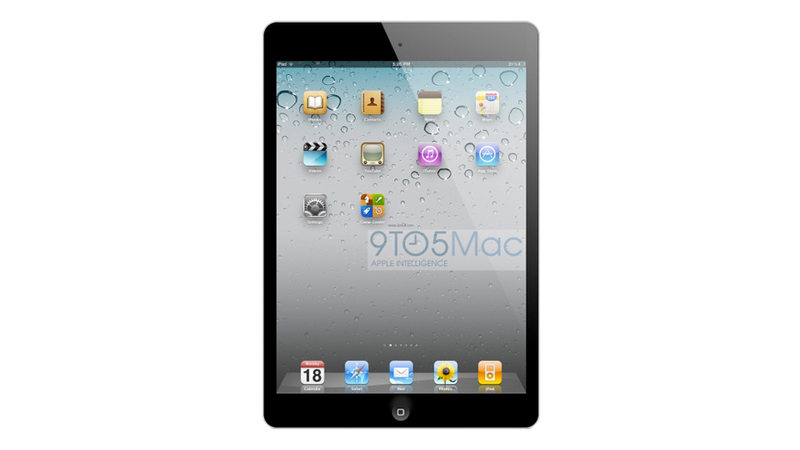 9to5Mac mocked up the image you see above and it illustrates the difference between a thin bezeled iPad mini and what many have long assumed the iPad mini would look like (a shrunken down version of the iPad). John Gruber, who is very well connected to Apple, is saying the same thing: though the aspect ratio of the display on this forthcoming iPad Mini will be the same as the current iPad (4:3), the whole device may not be housed in similar proportions — and that change in device size would result in shaving the bezel on the sides of the device. But how will the device be held? An iPad needs a thick bezel because it needs to be held with two hands and the thumbs need to rest on the front of the iPad (and not trigger touch actions). An iPhone can comfortably be held with one hand without the thumbs resting on its face — thus the smaller side bezel. The iPad Mini, according to these reports, would be somewhere in between the two but probably closer to the iPhone. Gruber surmises that the iPad Mini — because of its lack of a Retina Display and thus lack of a fatty battery — can be super thin and super light, which would make it easier to hold in one hand. The Nexus 7 would theoretically be a better size comparison for the iPad Mini and that form factor is much easier to hold with one hand.